March Madness! Come in and get any Patchwork Place books for $12.00 each. Isn't this such cute fabric? Moustaches are all the rage right now and kids are having so much fun with it! 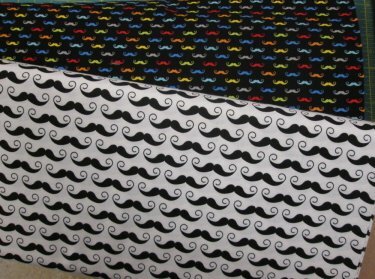 We just got this cute fabric in. 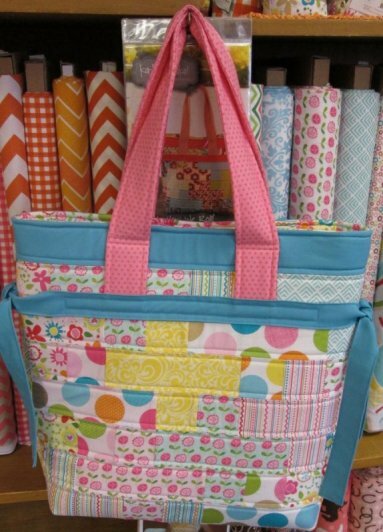 It would be so fun for birthday parties and a cute birthday pillowcase! These monthly projects are so cute and look like wool, although they are flannel. It is a great way to keep busy each month and have a beautiful project for each month of the year. 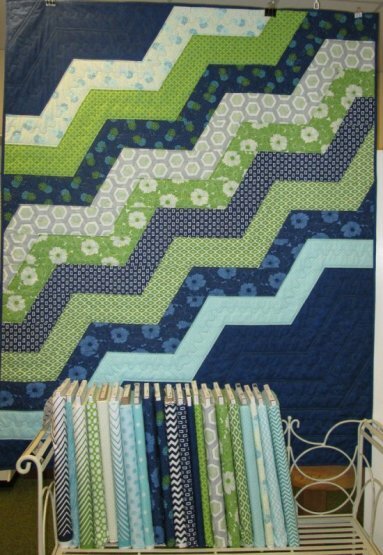 A modern Zigzaggery Quilt called Wiley Way. There are so many different fabrics you can highlight. 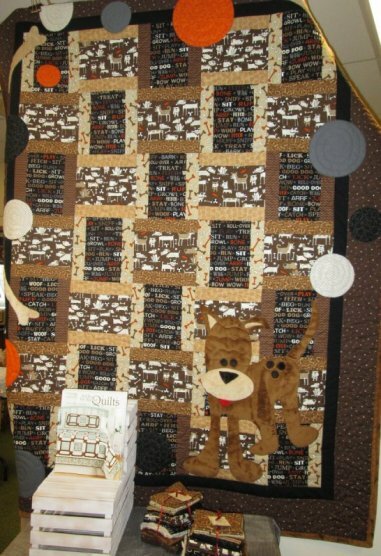 Every kids that loves dogs would be excited to sleep under this dog quilt. You can make it in flannel or cotton and it will be a hit! Kimberbell Designs has come out with a wallhanging for each season. They are small and simple to make and great for that one spot you have on your wall. Here is a great purse to use with a jelly roll. "That's How We Roll!" is just the bag to make in a jiffy. You will be getting asked by everyone, "where did you get that?" All you Minkee lovers, are you ready for this? In May, we will be getting in 90" Minkee! There will be 10 solid colors and you won't have to piece your backing any more! We have a few classes arranged for you, but if there is a class you are really interested in, let us know and we will schedule a time. We are more than happy to help. 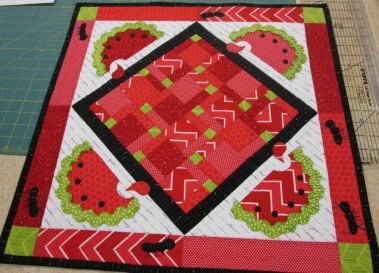 March 8, 2014 at 10:00 am ~ After Saturday Sampler, bring your machines and sew for the day. Get your blocks done for the month or finish that project you have been working on.